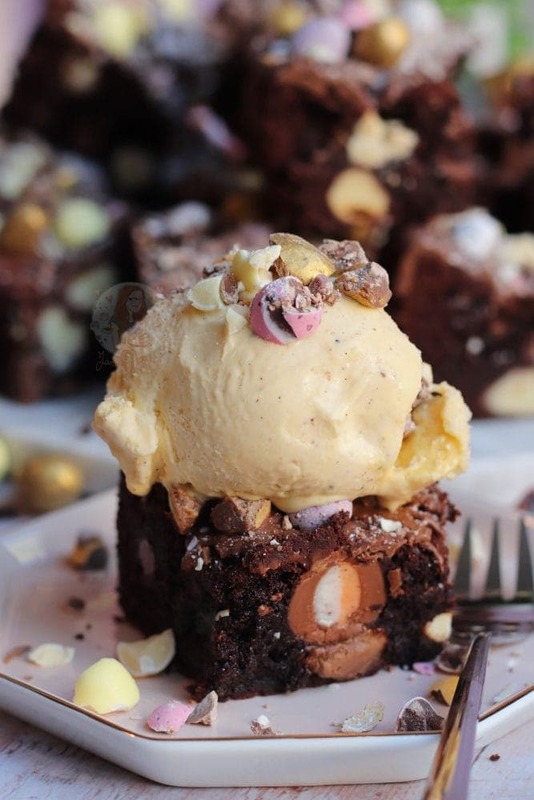 Perfectly Indulgent Chocolate Easter Brownies! 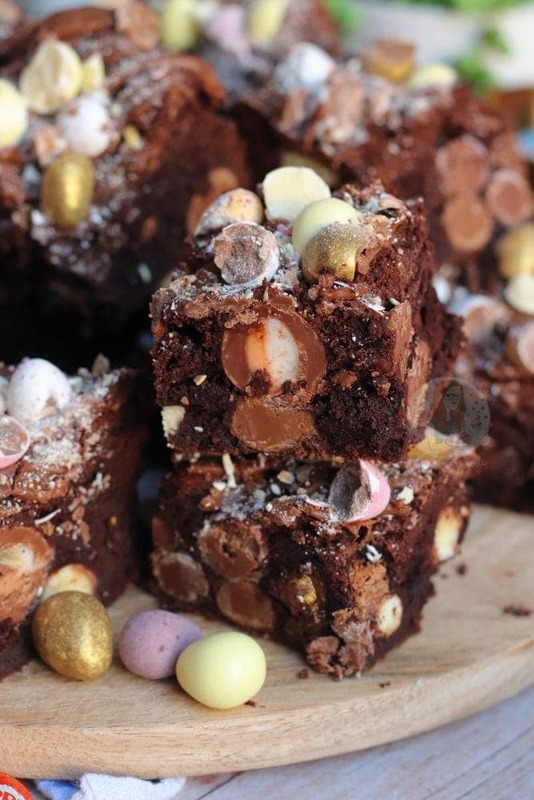 I knew with Easter coming up that I should do something else utterly delicious, and that you would all want to bake. 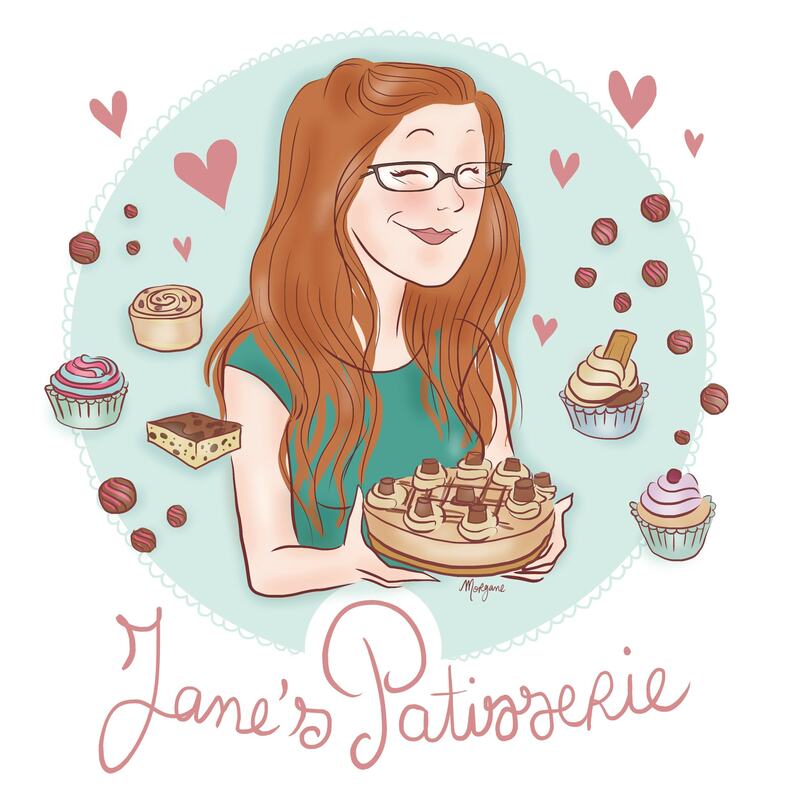 I have already posted a few things this year, such as my Creme Egg Cupcakes and Mini Egg Cookie Bars. 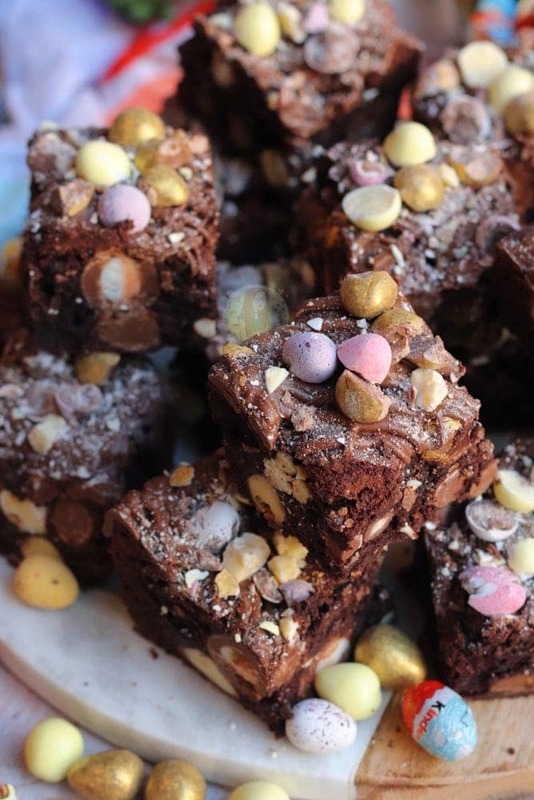 Because of the successes of these, I thought I would do one of my favourite things, in Easter form… BROWNIES. I wanted to really splash out on the Easter Treats in this one so I went a little overboard on the Chocolates I used. 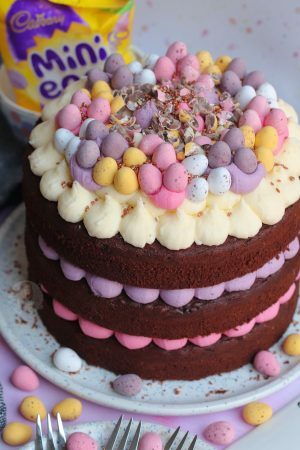 In my other recipes I have used Mini Eggs quite a bit, and I still wanted to use them in this, but I also wanted to use so many more things. 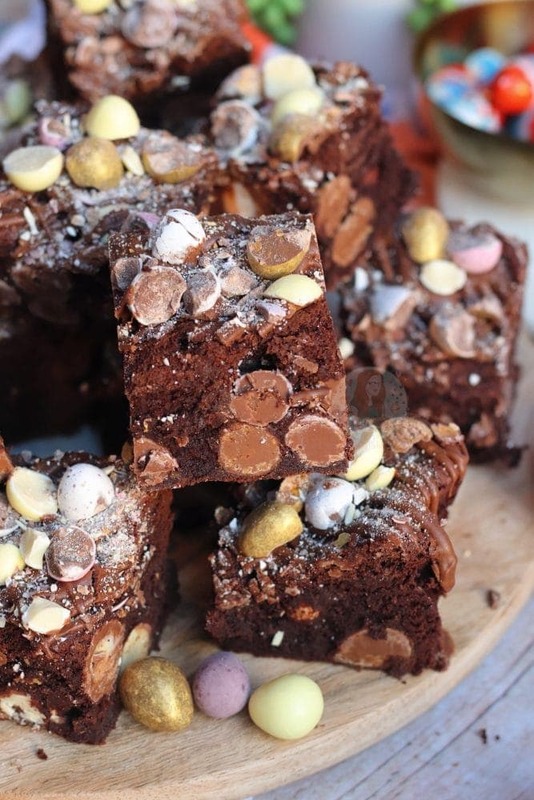 As well as the Mini Eggs, I went and used Smartie Eggs, Milkybar Mini Eggs, Galaxy Golden Eggs, and then some chocolate chips for a bit of extra gooeyness. 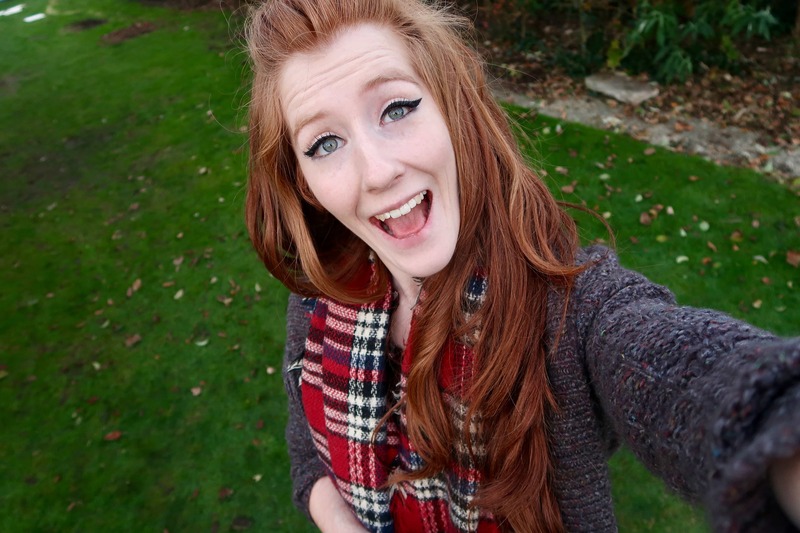 Oh my days, each Brownie was delicious and different to the next. I used a standard Brownie batter, like I have used in my Terry’s Chocolate Orange Brownies and Toblerone Brownies before. 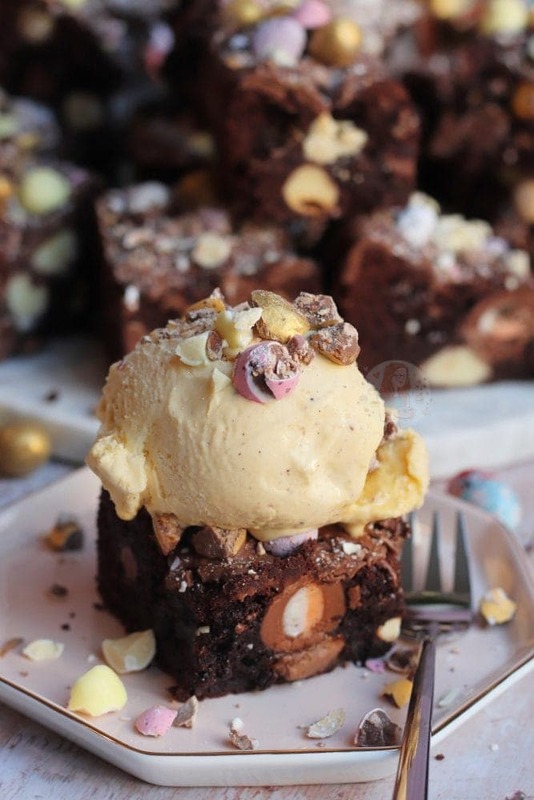 I love this recipe as it just makes the perfect Brownie for me. If you make it correctly, you will never use a different recipe! Honestly, if you melt the Butter & Chocolate together and leave it to cool, you’re in for a good start. The key to me, is the whisking the eggs and sugar together to make a mousse like mixture. You want to whisk it together, preferably with an electric whisk as in my opinion its better, whisk it together so that its more than doubled in volume, is so much paler, and when you lift the mixture up and let the mixture drop into the bowl again, it’ll take a couple of seconds to soak back in properly. You then need to CAREFULLY fold the mixtures together. Fold the Butter/Chocolate into the egg mixture, and then the flour and cocoa powder as well. If you knock the air out, or mix it for too long, you might mess them up slightly, but I’m sure they will still be damn delicious and gooey perfection. 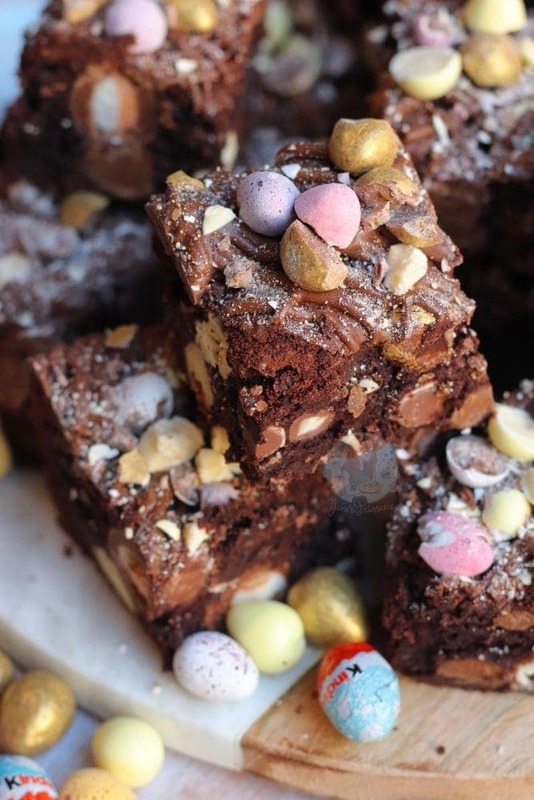 Add in all of the Chocolate Chips, and all (but a handful for the top) of the Easter treats into the brownie batter, pour into your tin, sprinkle over the other chocolates, and bake for the most DELICIOUS brownies ever. Once combined well, reserving a handful of the different egg types, fold through all the chocolates, and chocolate chips and pour into the prepared tin. Add the reserved chocolates to the top and bake in the oven for 25-30 minutes**! Once baked, leave to cool in the tin completely and then cut up. You obviously don’t have to use as many chocolates as I did, I went a little crazy, but it shows you that you can use whatever you like. 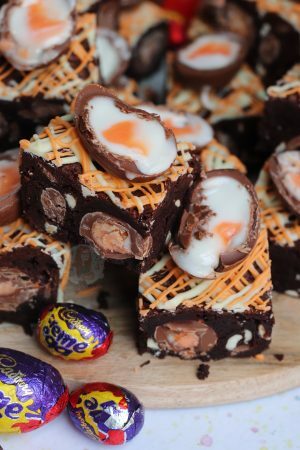 Creme Eggs are slightly different however, you’d have to freeze them overnight before baking with them. Flour was 90g, Cocoa Powder was 35g originally - increased to make batter thicker! Before I stated 1x Bag Smartie Eggs, Mini Eggs, Milkybar Eggs and 2x Galaxy Golden Eggs with 100g of Chocolate Chips - but I just used anything this time to make it easier! If using Mini Creme Eggs, make sure they're frozen! Find my other Easter & Brownie Recipes on my Recipes Page! Older Next post: Chocolate Chai Cupcakes! Didn’t put the chocolate on top because seemed rich enough without. These were absolutely superb. 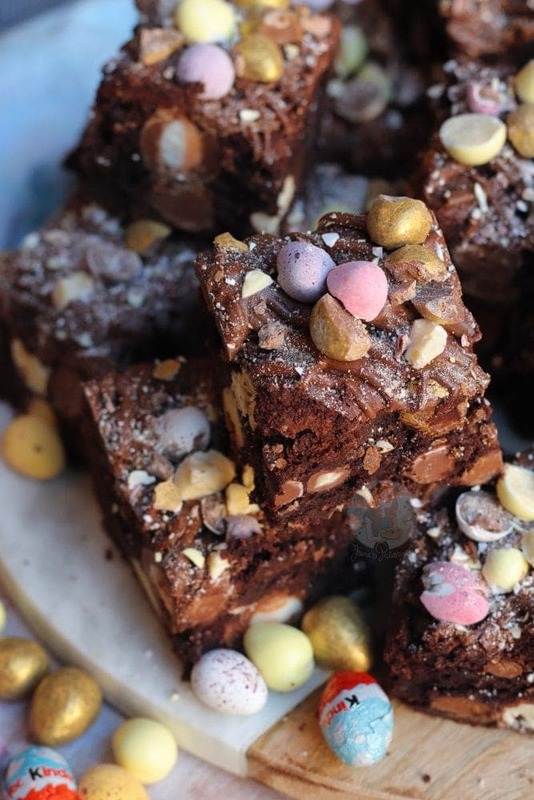 I’ve never had success before with any other recipes for brownies, but I really fancied trying YOUR recipe as they looked so good in the photos. Your instructions and advice were so easy to follow, and as a result,I’ve just made my first very successful batch. Thanks so much for sharing this. They turned out amazing and I’m now confident to make this recipe again and again. How many medium eggs should I use? I loved these Jane! You never fail to knock it out the park. 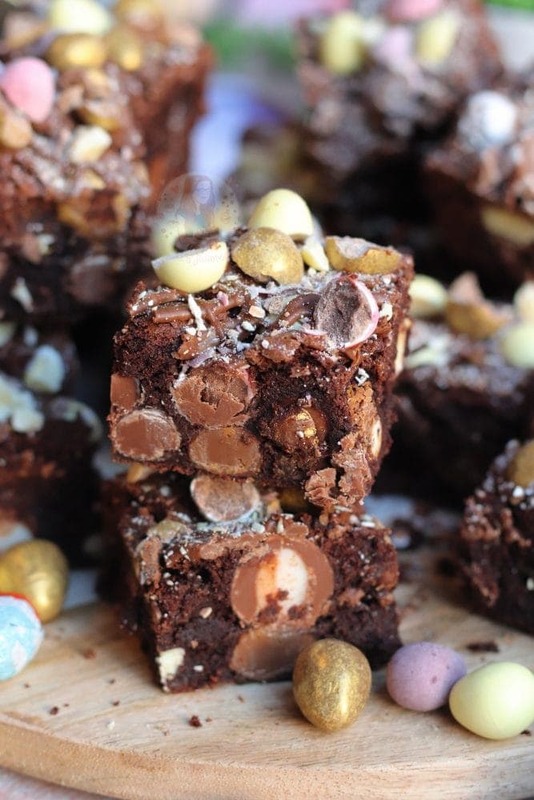 I want to make these but use just cream eggs instead ? I wouldn’t have too many still as they can degrade whilst baking – and they must be frozen!! If you plan on putting them on top, don’t put them on at the beginning, wait till five minutes before the end! Oh yum! 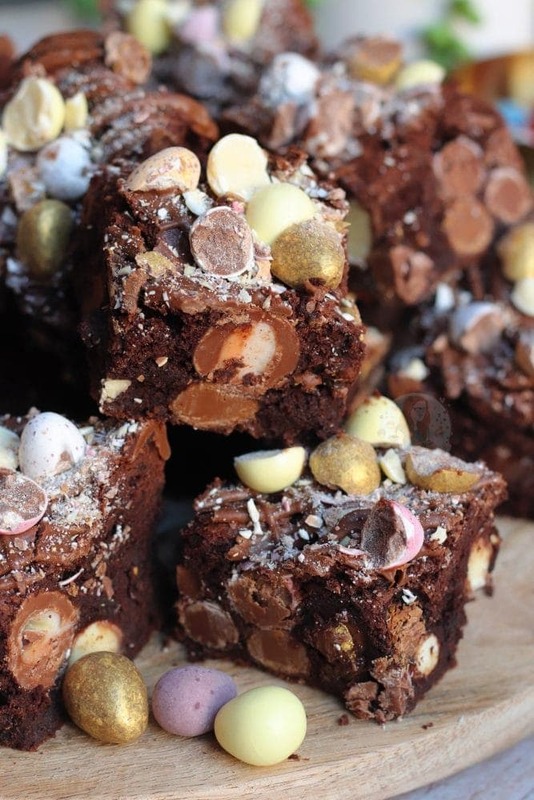 I love brownies and these look so good, thank you for sharing. Hey, I made these but all the extra eggs I placed on the top have all sunk in. They don’t look half as good as yours, any ideas why? Thanks. Ahhh, these looks mouth watering. 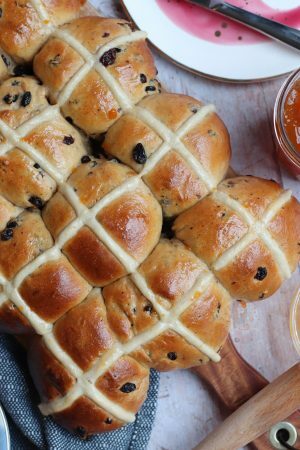 I’ve been pondering an Easter recipe for when I visit my in laws in a couple of weeks, so this will do the trick just fine. 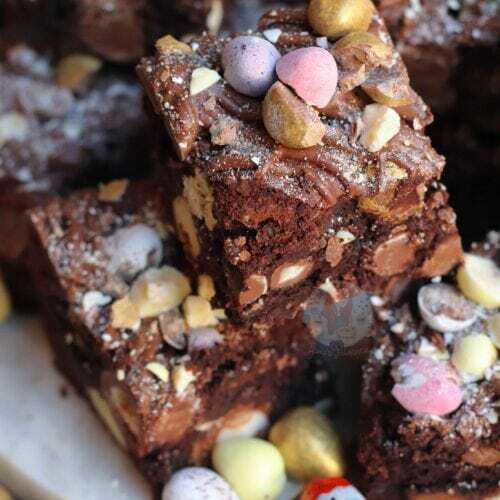 I love brownies and these just look and sound amazing! Will definitely be giving these a go!